Henry. Unsigned. Oil on canvas, 36 x 30 in., framed. Condition: Lined and stretched on a new stretcher, minor retouch, drying cracks, surface grime. Provenance: The collection of Alvin and Annie Schlesinger. 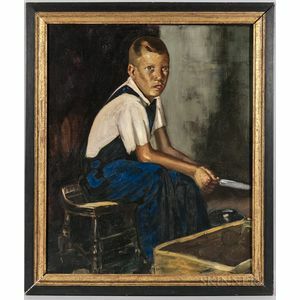 Literature: Paintings, Watercolors, and Drawings by George B. Luks, Property of His Estate Sold by Order of William D. Luks, Executor, Public Auction Sale, Parke-Bernet Galleries, Inc., New York, April 5, 1950, Lot 56, p. 16. Exhibitions: Rehn Gallery, New York, no date given; Eighth Exhibition of Contemporary American Painting, Cleveland Museum of Art, Cleveland Ohio, 1928. N.B. We would like to thank the Archives of The Cleveland Museum of Art for sending a scan of a photograph from the 1928 exhibition referenced above that shows the painting hanging in their gallery. 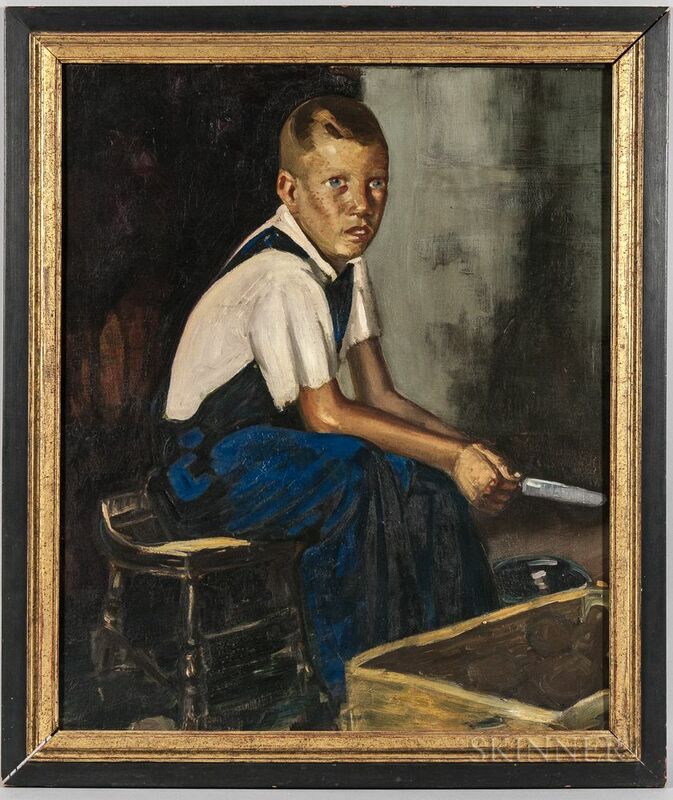 The archivist also brought to our attention that the painting appeared again in a later Parke-Bernet auction on 20 February 1963 (as lot 81), 13 years after the initial estate auction.